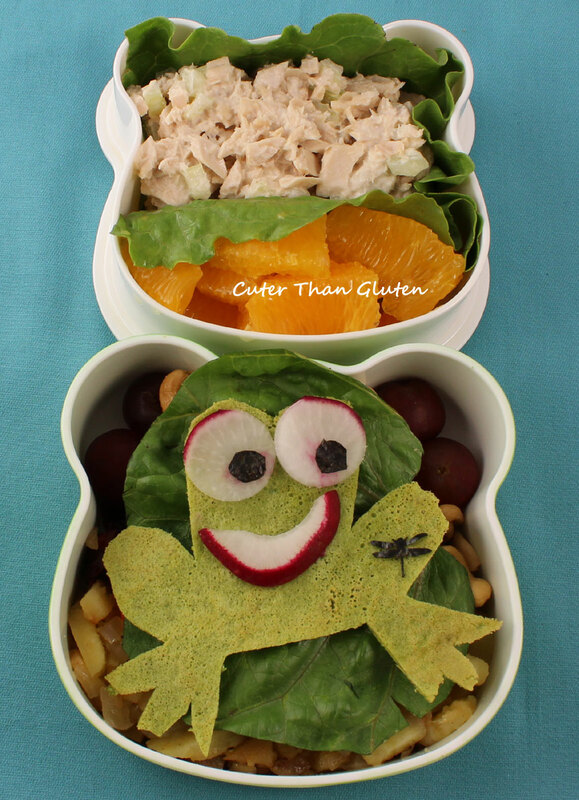 For the bento, my daughter told me they were studying frogs in preschool and she wanted a frog bento. So, a few days later as I stared at the green crepe, I thought it could be a frog. I don’t have a frog cookie cutter so I cut it free-hand with a knife. It has a nori dragonfly on it’s leg, made with a paper punch and radish eyes and lips. 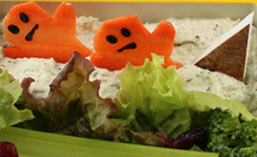 The sweet potato has is under the lettuce “lily pad” and above are tuna salad and orange segments. Heat cooking oil in a large skillet on medium low heat and sauté the onions and sweet potatoes until cooked tender, about 12-15 minutes. Add salt and pepper to taste, cover and set aside. In a blender combine the crepe ingredients and process until smooth. Heat a large non-stick skillet on medium low heat with a very thin layer of oil. Cover the bottom of the pan with just enough batter to coat (swirl the pan around while pouring to get full coverage). When the edges begin to lift from the pan (1-2 minutes), turn the crepe with a spatula and briefly heat the other side. Set aside, covered, and make the next crepe. 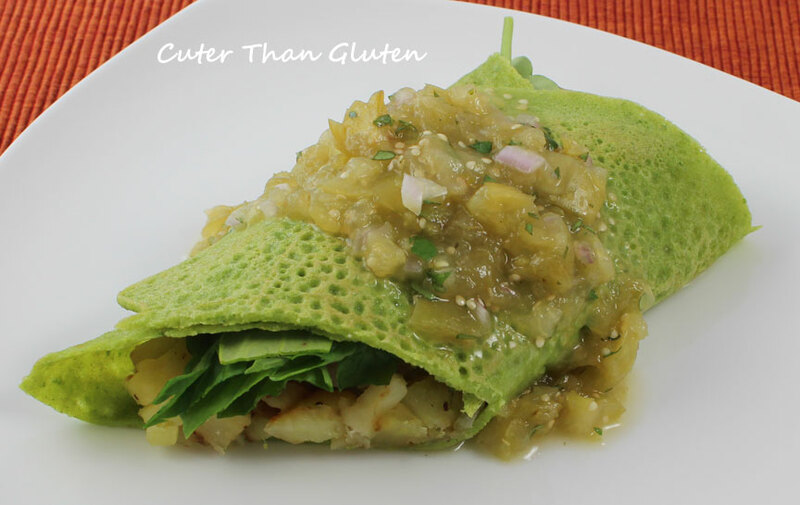 Fill each crepe with some yam hash and fold like a burrito. Consider adding scrambled eggs, sauteed veggies, or salad to the burrito. This entry was posted in Bento, Entrees and tagged bento, dairy-free, gluten-free. Bookmark the permalink. Breakfast Burritos are my husband’s favorite. Thanks! I love the dragonfly! Gave me some new ideas.